To finish your order, please agree to the auto-renewal terms and select confirm. By clicking the box below, I authorize my payment method to be charged $39.99 plus any applicable taxes, for this year’s Pro Access membership fee. I also authorize my payment method to be automatically charged the then current Pro Access membership fee in the future on an annual basis, plus any applicable taxes. I understand that I can cancel my subscription at any time by accessing my Account page after log in on GNC.com, or by calling 1.866.214.2469. Cancellations must occur prior to the expiration of my membership year, in order to ensure that the recurring charge will not be applied. There are no refunds or credits for partial months if I choose to cancel before the end of any subscription year. Rolling into another year of PRO Access is easy with auto-renewal! The product quantity for an item in your shopping cart has exceeded our Maximum Purchasing Policy. Please adjust your quantity to (1) and try again. myGNC PRO Access members get all the benefits of myGNC Rewards, plus exclusive access to these premium perks. A full week of savings, exclusive extras and more—four times a year. Shop anytime, anywhere, with free shipping all year long on GNC.com. Get free gifts, 8+ samples, coupons and more, delivered to your door twice a year. 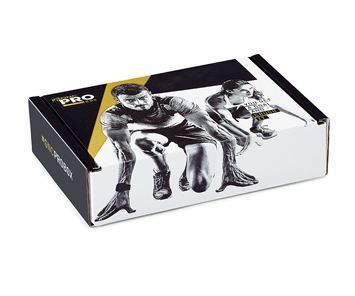 Choose a men’s or women’s Performance, Wellness or Weight Management PRO Box to get tons of good stuff for your goals. Win gear, trips and once-in-a-lifetime adventures—just for PRO members. The PRO Access Insider Line is a direct support line to program experts. Think of it like your own personal PRO concierge service. Pros get an extra 30 days to redeem Cash Back Rewards!